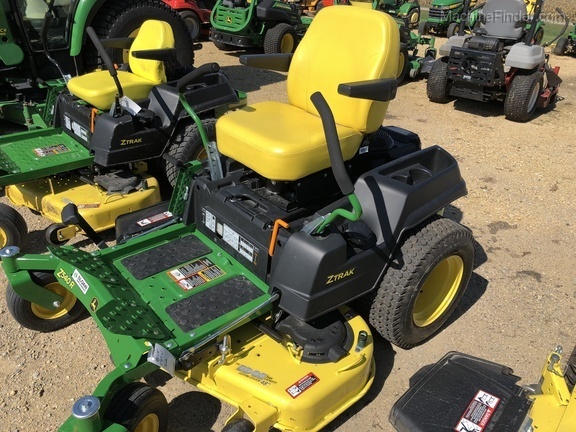 Description: 2018 Z540M WITH 62'' DECK AND 24HP KAW. WARRANTY UNTIL 22 MAR 2022 OR 300 HOURS. 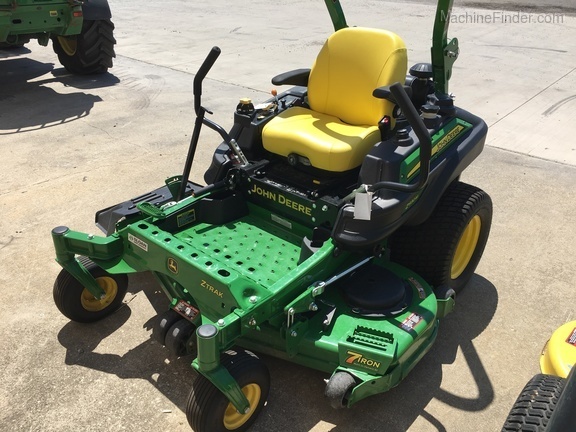 Description: 2016 JD Z930R, 60" SD DECK, FOLDING ROPS, SUSP SEAT, ELEC DECK LIFT. GOLD SERVICED AND READY TO MOW, NICE COND. 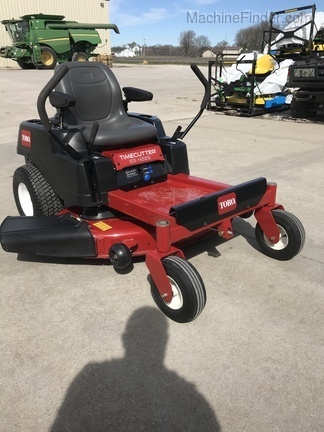 Description: TORO TIMECUTTER SS4225, 42'' DECK, 22 HP KOHLER ENGINE. 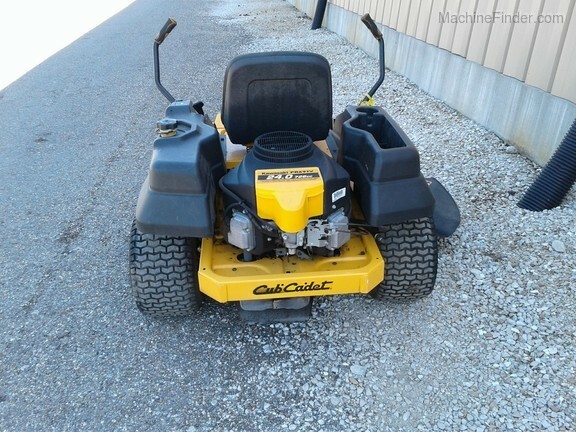 Description: CUB CADET Z FORCE LZ ZERO TURN MOWER, 24HP KAWASAKI, 48'' DECK, 2 GAS TANKS, EXTRA SET OF BLADES. Description: 20 HP BRIGGS. 42'' DECK MULCH COVER, STRIPING KIT. 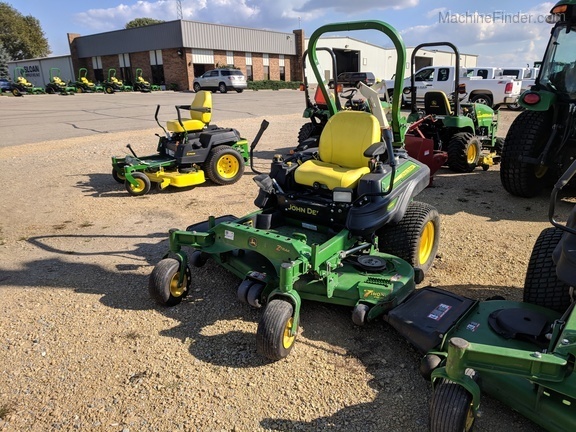 Description: 2015 JOHN DEERE Z915B COMMERCIAL ZERO TURN MOWER, 54'' COMMERCIAL 7 IRON GREEN MOWER DECK, 25 HP KOHLER, AIR COOLED GAS ENGINE, STANDARD ISO SEAT, SOLD NEW IN 2016. 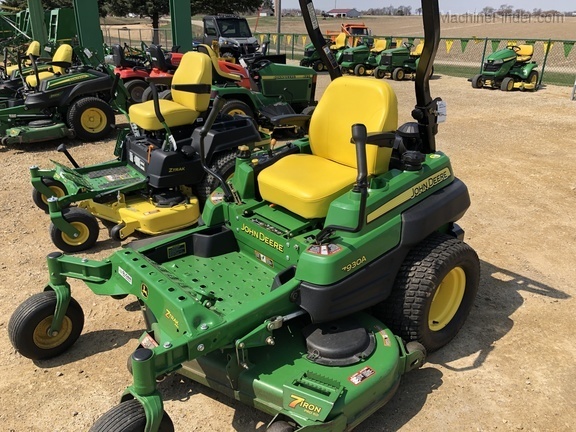 Description: 2017 JDZ970R, 72" DECK, SUSPENSION SEAT, TURF TIRES, 35HP KAW ENGINE, WARRANTY UNTIL 27MAR2020. Description: 2018 Z970R W72'' DECK, TWEELS, FOLD ROPS, 963 HRS. 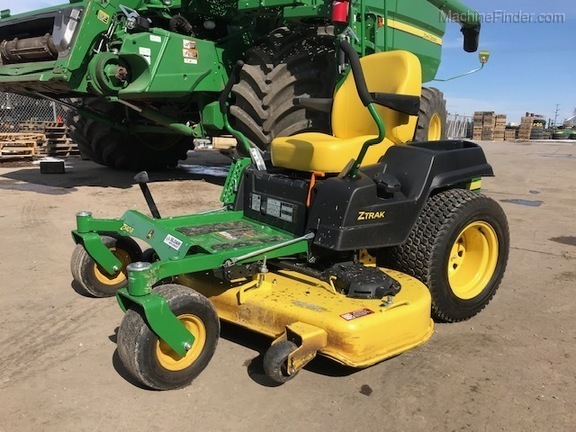 Description: 2011 JD Z950, 72" DECK, SUSP SEAT, RUNS GOOD. 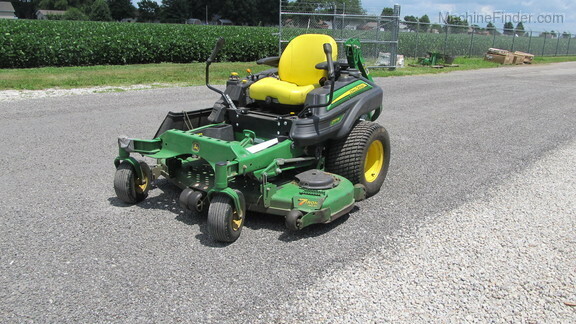 Description: 37HP, EFI BRIGGS/STATTON VANGAURD, 61'' DECK, HAS SUSPENSION ON FRONT AND REAR. Description: 2018 Z970R W/ 72'' DECK, TWEELS, FOLD ROPS, 807HRS. 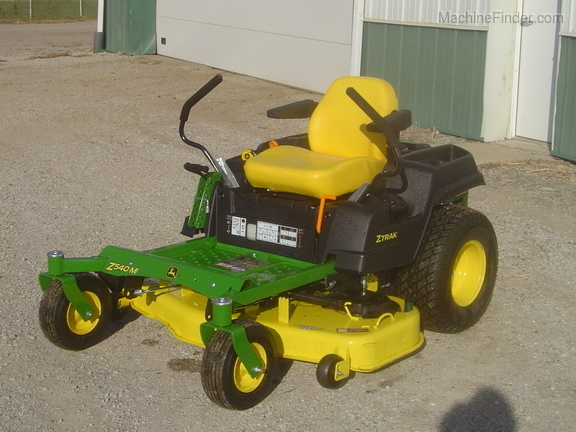 Description: TIME CUTTER HD, 60'' FULLY WELDED DECK, 24 HP, MY RIDE SUSPENSION SYSTEM, SMART SPEED CONTROL SYSTEM. 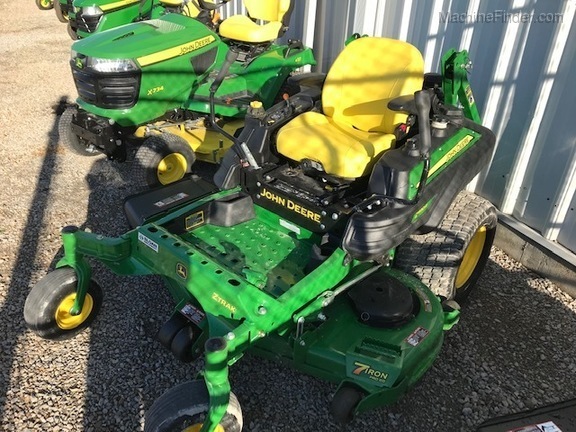 Description: 2016 JD Z930M, 60" 7IRON DECK,SUSP SEAT W/ ARMREST. 25.5 HP KAW ENGINE. 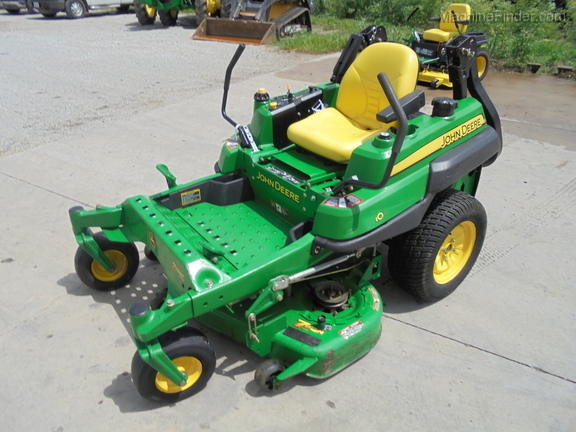 Description: 60'' 7-IRON DECK, 25.5 HP, TURF TIRE, SUSPENSION SEAT. Description: 60'' DECK, KAW ENG, DELUXE SEAT, NICE SHAPE. Description: 60" HIGH CAPACITY DECK, CLEAN UNIT, 27 HP BRIGGS CYCLONIC ENGINE, Serviced and ready to go. Description: 54" DECK, DELUXE SEAT, ROLL BAR, 23HP KAW ENGINE, LOOKS AND RUNS GOOD. 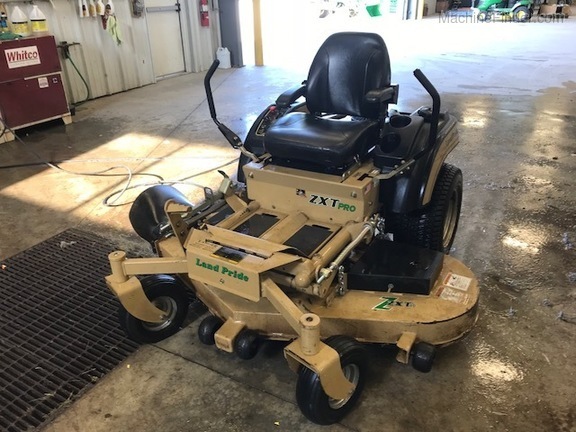 Description: 54" MOD DECK, 25HP KOHLER EFI, SUSP SEAT. Description: 28HP VANGUARD ENGINE, 61" DECK, HEADLIGHT KIT, GEAR TRANS, FRONT AND REAR SUSPENSION, SEAT COMING APART FROM BASE, VERY GOOD PAINT, RUNS AND MOWS GOOD. Call, email, or visit sloans.com for the current location of this item. Other websites show the location as Assumption, IL or Monroe, WI, while it may be at any of Sloan’s 20 stores. 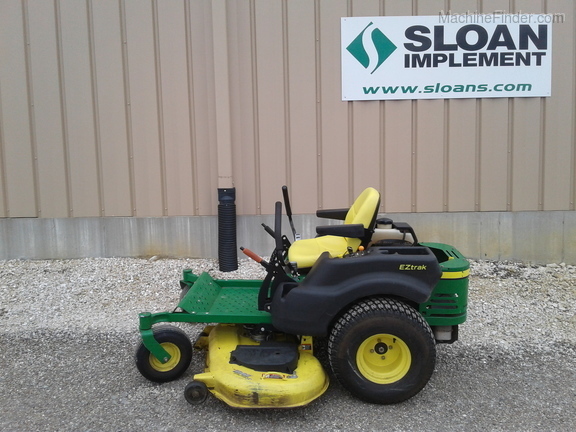 Description: 54" DECK, 24HP KOHLER,SMART SPEED CONTROL, GOOD CONDITION, NO HOUR METER. 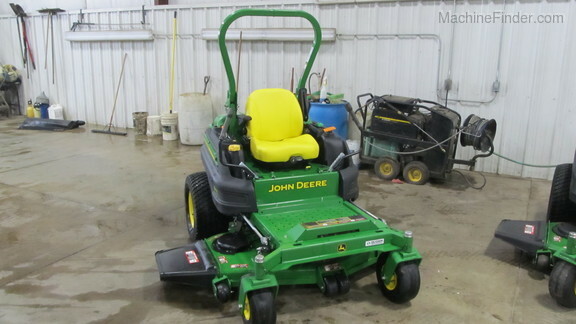 Description: 60" 7 IRON DECK, TURF TIRES, SUSP SEAT, 25HP KOHLER EFI, NICE MOWER. 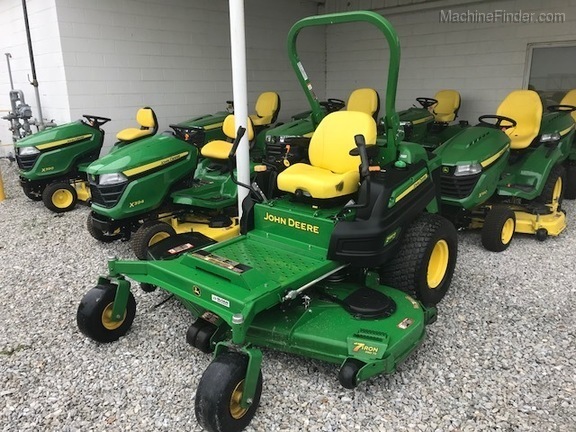 Description: 37HP DIESEL ENGINE, 72" SIDE DISCHARGE DECK, SUSP SEAT, TURF TIRES, WARRANTY UNTIL 17 AUG 2019. 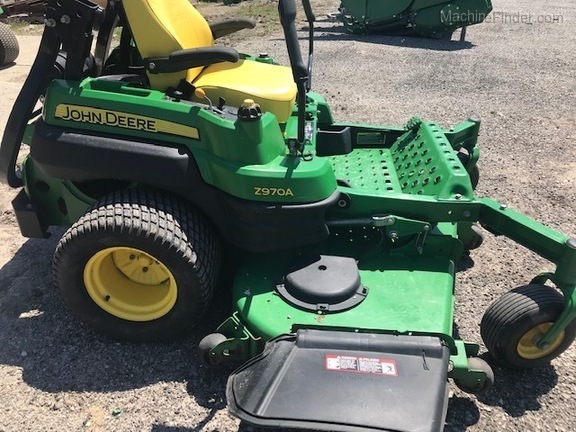 Description: John Deere Z425 54 inch deck, hitch, nice mower. 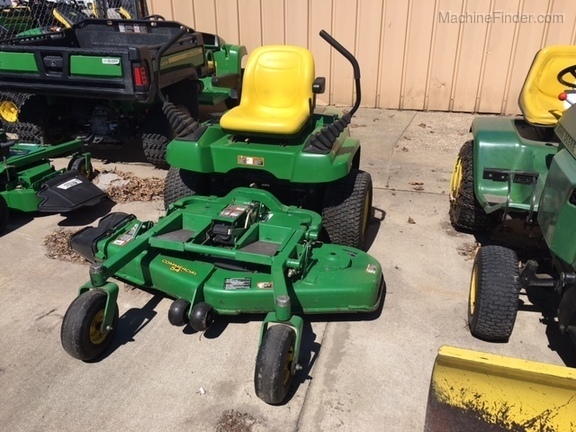 Description: 48" DECK, KOHLER ENGINE, GOOD SHAPE FOR AGE, JUST THROUGH SHOP, READY TO GO. 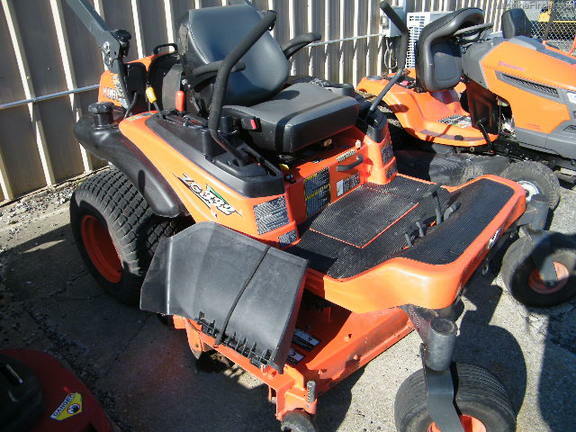 Description: 24HP HONDA V TWIN, 60" DECK, FOOT LIFT, SUSP STYLE SEAT, LH REAR TIRE NEW, RUNS AND MOWS GOOD. HOUR METER DOES NOT WORK, LAST READING WAS 879.00. SELLING AS IS. Call, email, or visit sloans.com for the current location of this item. Other websites show the location as Assumption, IL or Monroe, WI, while it may be at any of Sloan’s 20 stores. 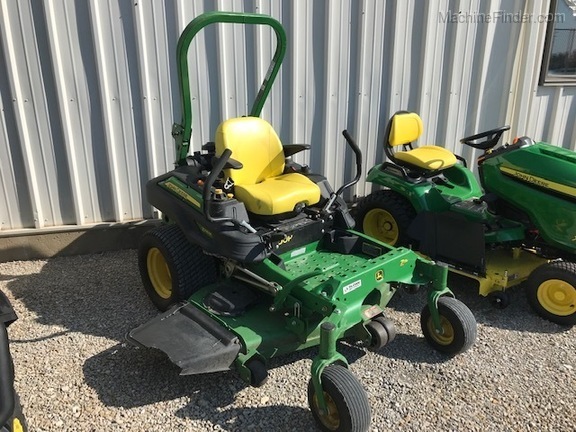 Description: 60" DECK, DELUXE SEAT, TURF TIRES. 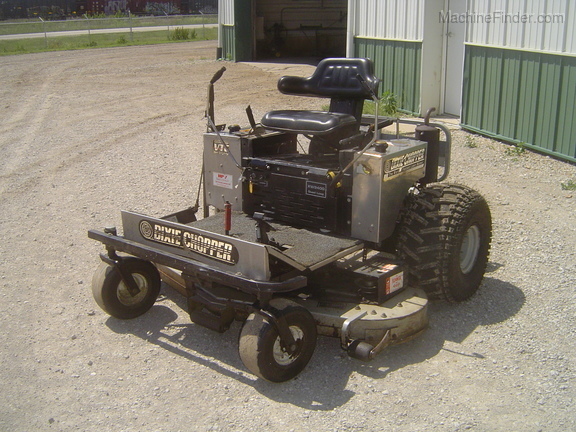 Description: 50" DECK, 23HP KAW ENGINE, VERY CLEAN, READY TO MOW. 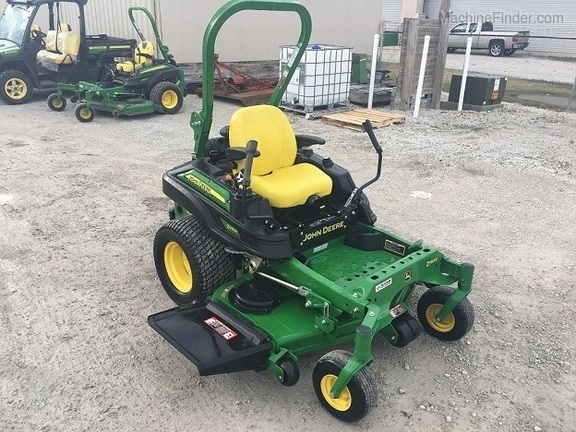 VERY NICE MOWER. Description: 60" DECK, VERY GOOD CONDITION. Description: 50" DECK, 24HP KAW ENGINE. Description: 54" DECK,FEW SCUFFS ON THE MACHINE. 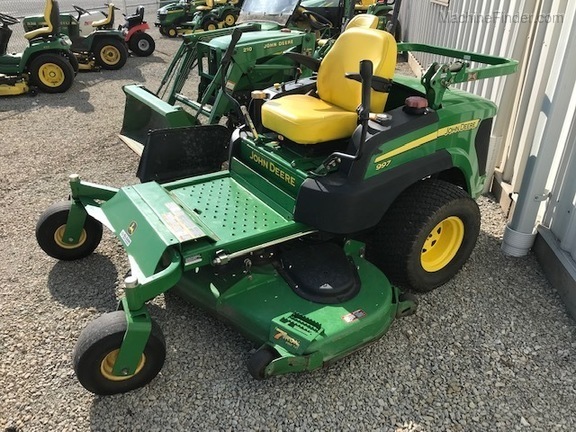 Description: 2007 Z997, 31HP DIESEL, TURF TIRES, ELECTRIC DECK LIFT, ROPS,72" DECK. 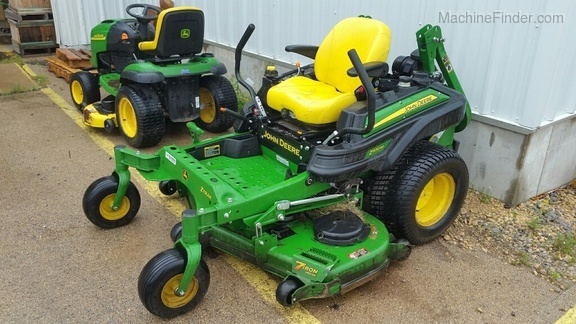 Description: 72'' DECK TURF TIRES 1 NEW, NICE MOWER. 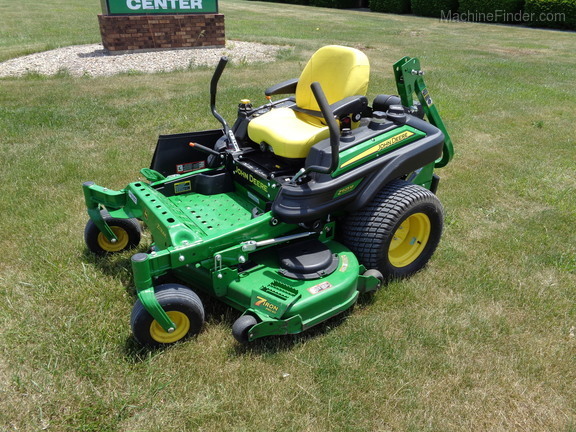 Description: 72" DECK, SUSP SEAT, NICE MOWER. 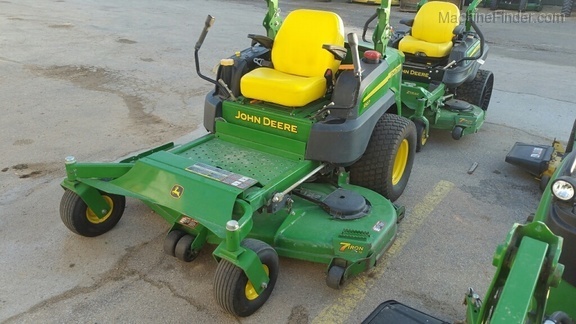 Description: 52" DECK, 21HP KAW ENGINE, ROPS, FLOOR MAT. SELLING AS IS. 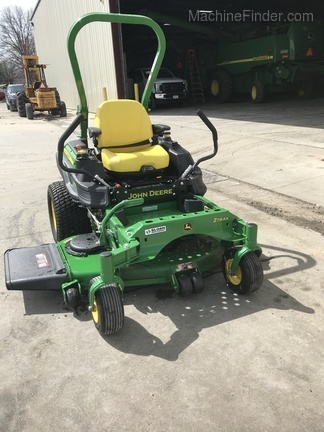 Description: 2017 DEMO UNIT, CUSTOMER USED FOR 2HRS, 60" MULCH ON DEMAND. 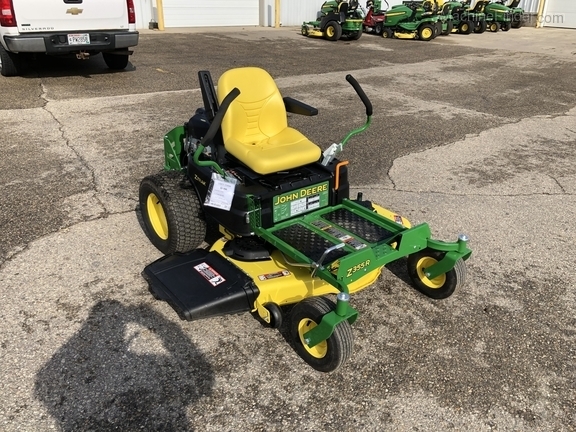 Description: 48" DECK, ISO SEAT, NICE MOWER. Description: 35HP CAT DIESEL, 72" ELECTRIC LIFT DECK, SUSP SEAT, NEW DECK SPINDLES, NEW DECK PULLEY AND BELT, JUST SERVICED. Description: 60" DECK, COMMERCIAL ZERO TURN, BRIGGS ENGINE, DUAL FUEL TANKS. 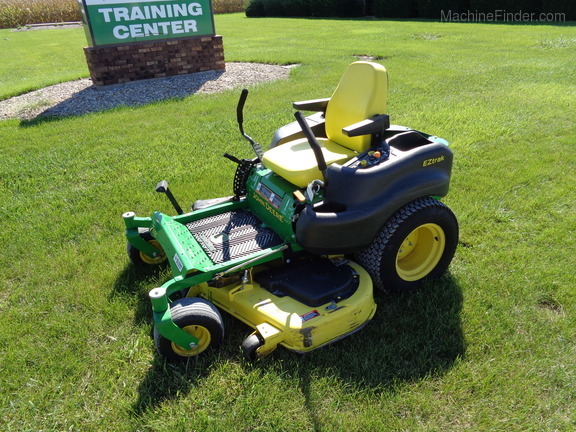 Description: ZTR Mower, 24 HP Kawasaki Eng, 54" Deck. 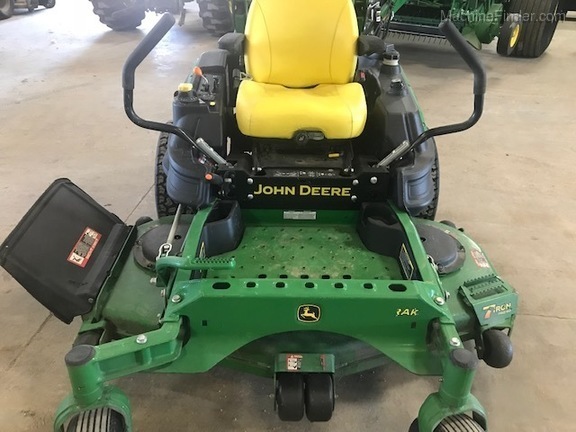 JD Warranty to Sept 22-2020 or 300 Hrs Max. 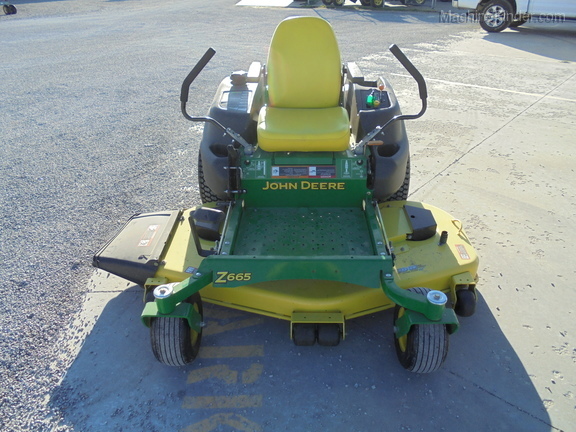 Description: 2014 JD Z930R W60'' SIDE DISCHARGE DECK 25.5 HP KAW ENGINE. 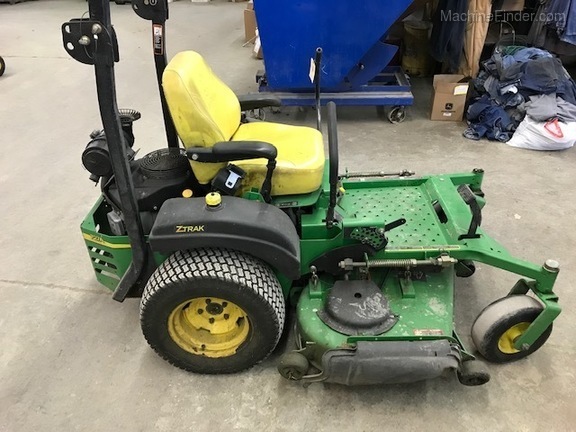 Description: JOHN DEERE Z540M, 24HP KAW ENGINE, 48" DECK, HAND LIFT, 54HRS. 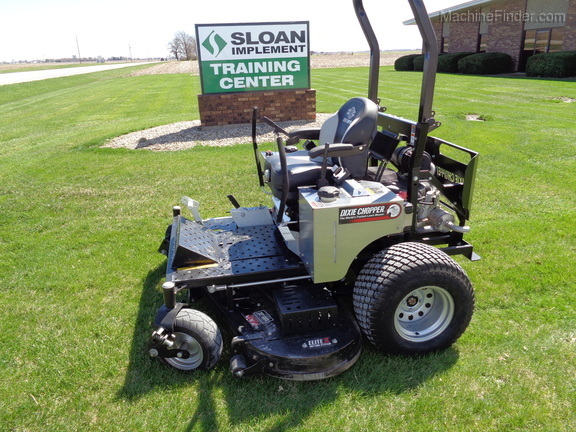 Description: 25 HP KOHLER EFI, 60'' 7 IRON DECK, TWEELS, SUSPENSION SEAT. 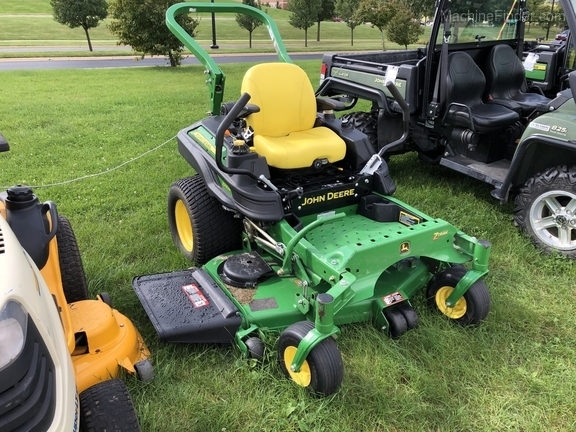 Description: 2017 JD Z997R ZERO TURN, 37HP DIESEL, 60" 7 IRON DECK. NICE MOWER. 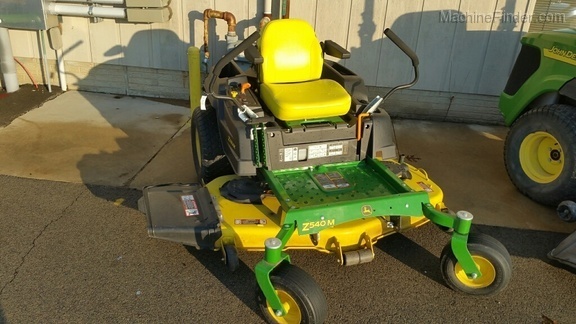 Description: 54" HC DECK, 24HP KAW ENGINE. AVG COND. 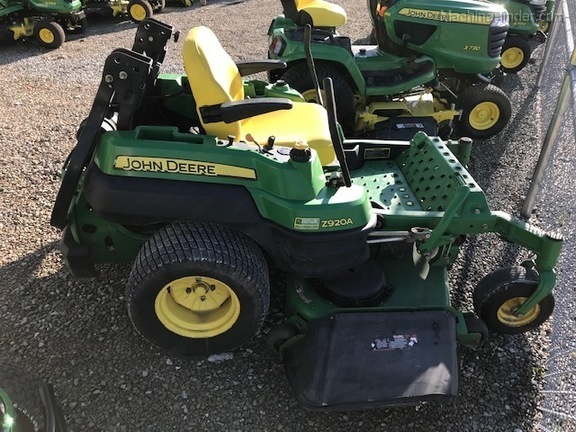 Description: 2018 JD Z540R, 24HP KAW ENGINE, 54"HC W/ MULCH KIT, FOOT LIFT DECK. 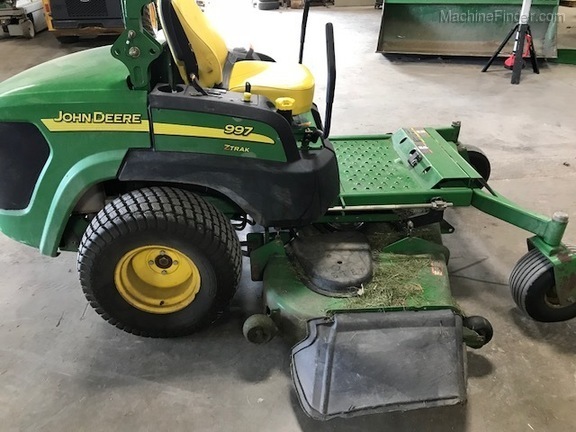 Description: 2006 JD 777 COMMERCIAL ZERO TURN, 60" DECK, KAW ENGINE, WELL MAINTAINED, SMALL SCUFFS ON LH SIDE, GOOD SHAPE FOR AGE AND HOURS, 13HRS ON SERVICE. 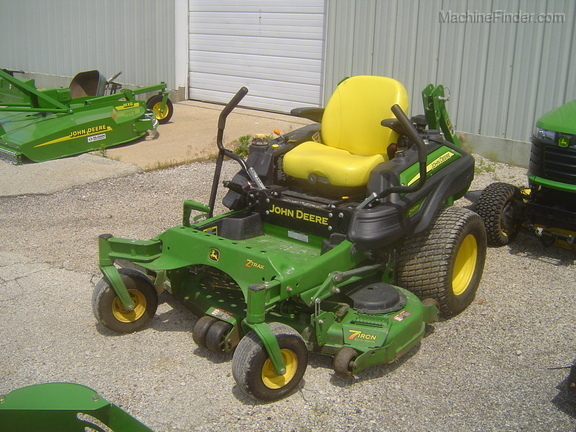 Description: 1999 JD F620 Z-TRAK MOWER, 54" COMMERCIAL DECK, 20HP KOHLER ENGINE. 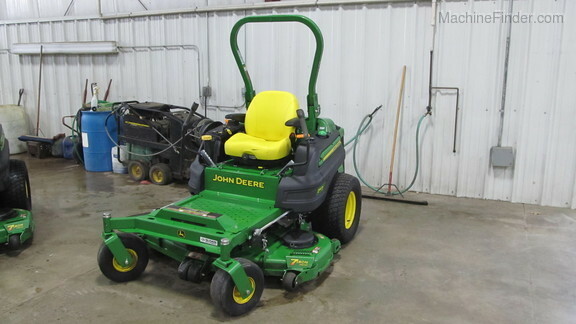 Description: 2009 JD Z970, 730HRS, 37HP, ELEC DECK LIFT, SUSP SEAT, TURF TIRES, FOLDING ROPS. 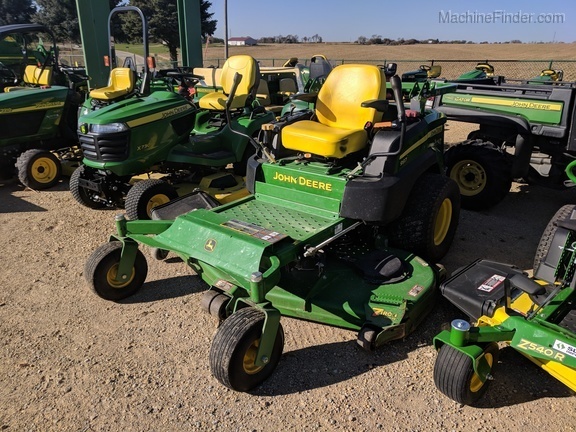 Description: 2017 JD Z997R ZERO TURN, 60" 7 IRON DECK, 37HP DIESEL. 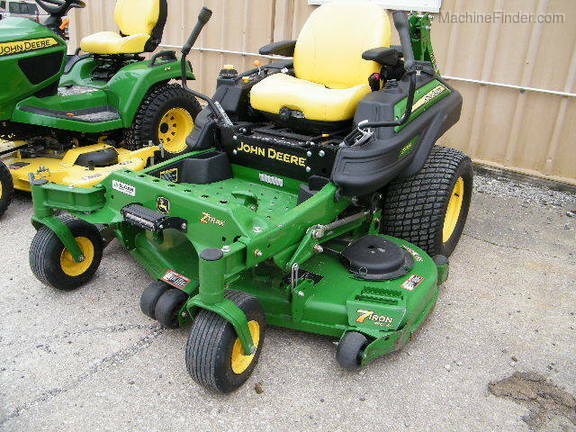 VERY NICE MOWER. 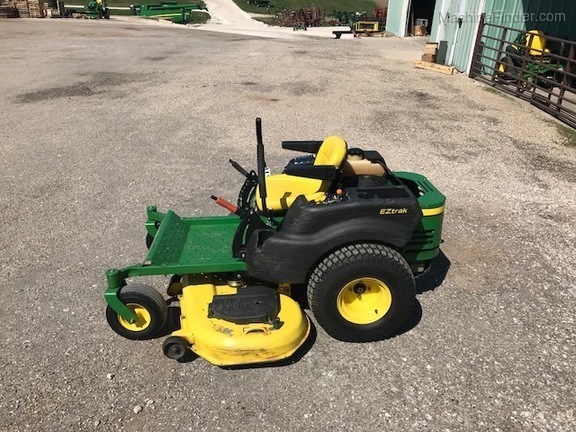 Description: 2016 JOHN DEERE Z540R, 54" DECK, KAW ENGINE, 7BU POWER FLOW BAGGER, VERY NICE COND. 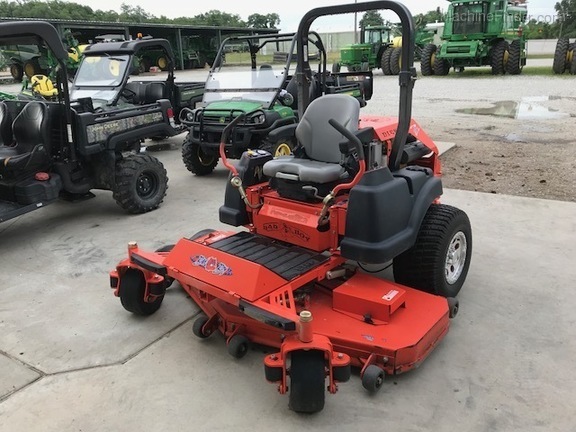 Description: "KUBOTA ZG332P ZERO TURN MOWER, 32 HP 3 CYL LIQUID COOLED GAS ENG, FOLD ROPS, 60"" PRO DECK. NICE UNIT. 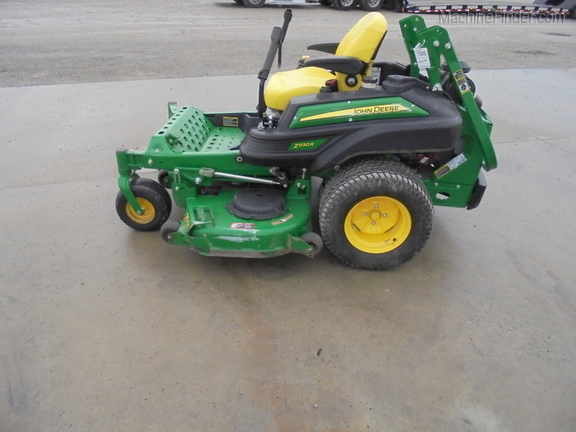 Description: 2013 MODEL, 72" 7 IRON DECK, SUSPENSION SEAT, VERY CLEAN. 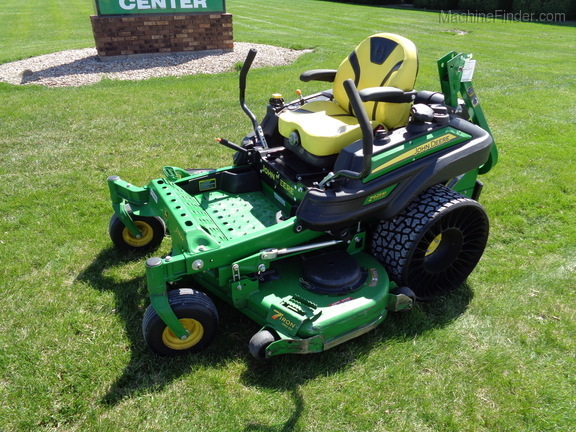 Description: TURF TIRES, 60" DECK, NICE MOWER. 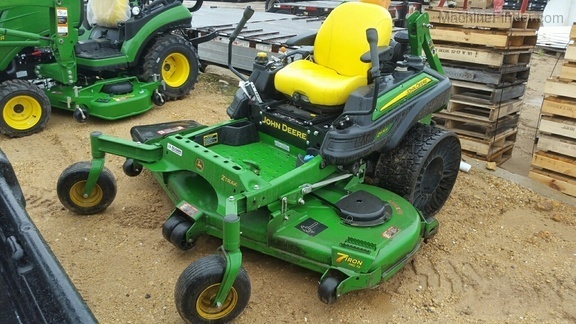 Description: 31 HP Diesel, 72" Commercial 7 Iron Deck, Power Deck Lift, Dlx Comfort Seat w/ Armrests. Serviced & Ready To Go! 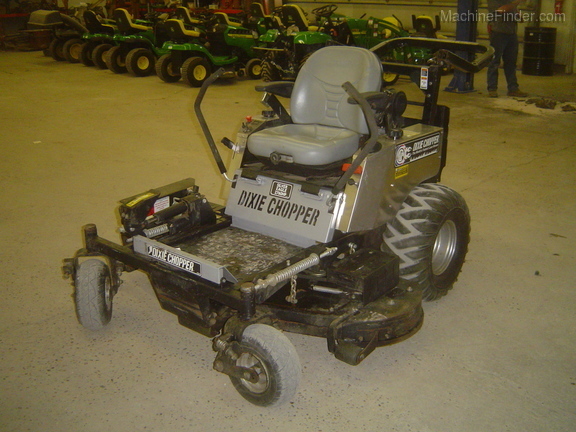 Description: DIXIE CHOPPER XW2703-60, 27HP GENERAC GAS ENGINE, 60IN DECK, ELECTRIC LIFT, GOOD CONDITION. 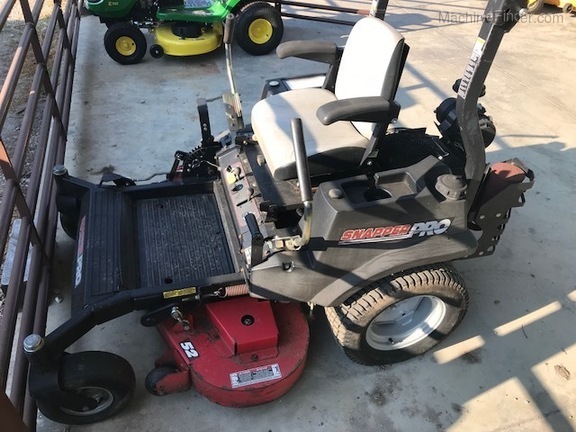 Description: 2018 Z355R W 48'' ACCEL DEEP DECK, 22 HP AIR COOLED B&S ENGINE, FOOT & HAND DECK LIFT, ERGO CONTROL HANDLES, FLOOR MAT, FACTORY WARRANTY TILL MAY 9, 2020. Description: 2017 Z920M, 60" SIDE DISCHARGE DECK, 23.5HP KAW ENGINE, SUSP SEAT. FACTORY WARRANTY UNTIL 2/29/2020 OR 1200 HRS. 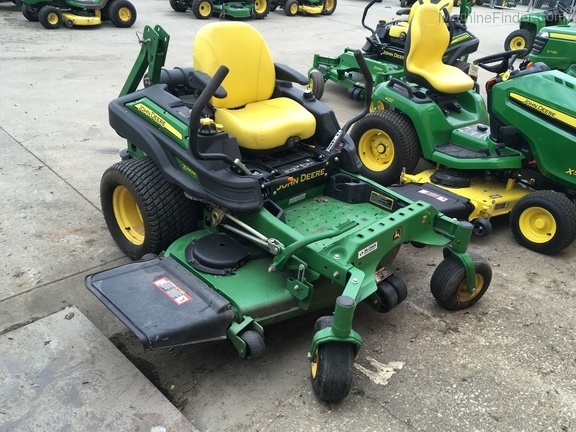 Description: 2011 Z930A, 60" DECK, VERY WELL MAINTAINED, SERVICED AND READY TO MOW. 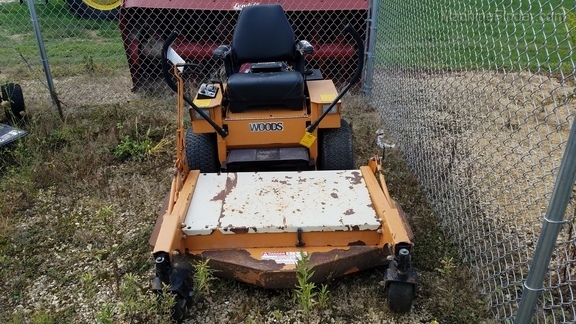 Description: WOODS ZERO TURN MOWER, RUNS AND MOWS WELL,49" DECK, COMPLETE NEW 16HP ENGINE, RECENT PTO CLUTCH. 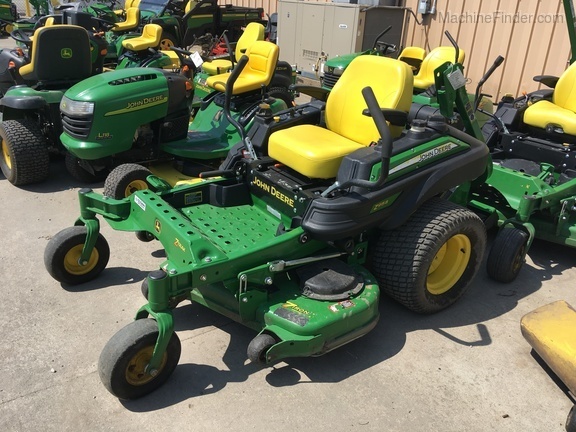 Description: 2017 JD Z930M, 60" 7 IRON DECK, SUSP SEAT, BAR TIRES, 25.5 HP KAW ENGINE. Description: 2017 Z970R W 72'' DECK, TWEELS, FOLD ROPS, 940 HRS. 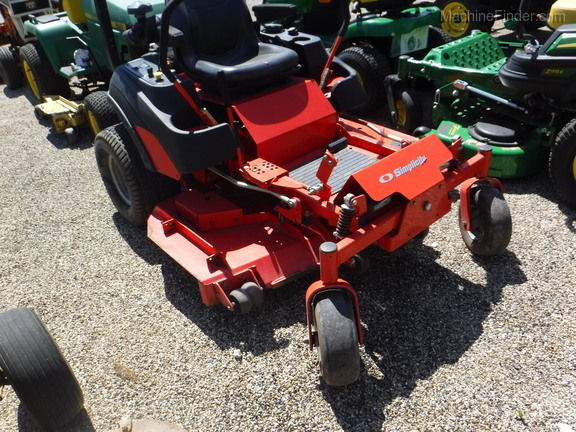 Description: CRAFTSMAN ZERO TURN, 42" DECK. 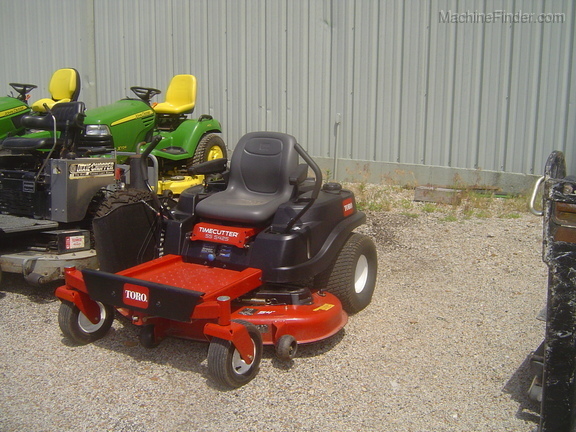 Description: KAW ENGINE, ELECTRIC DECK LIFT, SUSPEN SEAT, TURF TIRES, ROPS, LOOKS BRAND NEW. 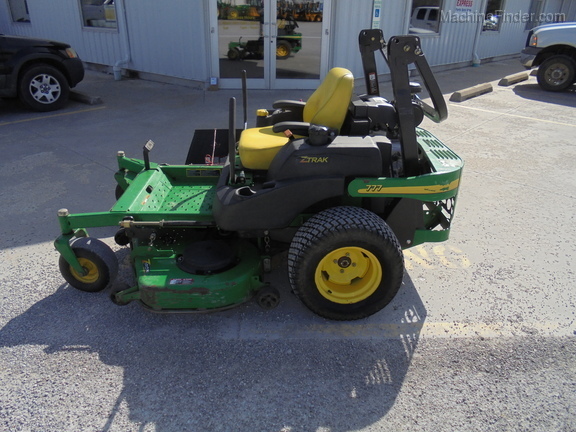 Description: 2013 JD Z930R, 60" 7 IRON DECK, 425HRS, SUSP SEAT, FOOT BRAKE. 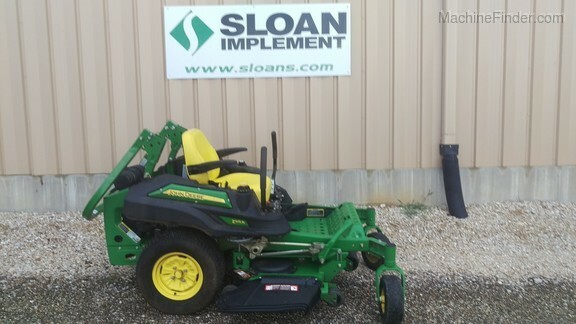 Description: 60'' 7 IRON DECK, TWEEL TIRES, SUSPENSION SEAT, 25.5 HP KAWASAKI. 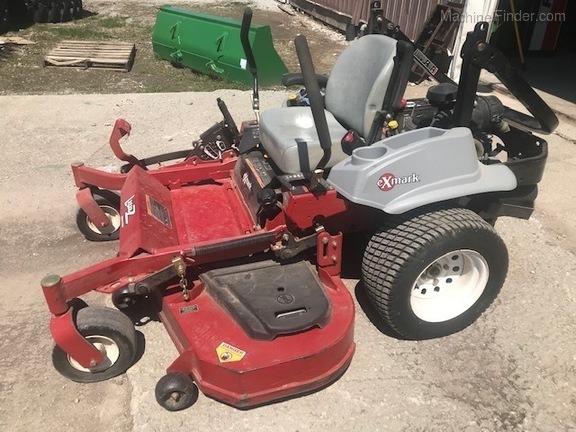 Description: 2010 EXMARK LZA27KKC604, 143 HRS,, KOHLER ENGINE, TURF TIRES, ROPS, 60'' DECK. 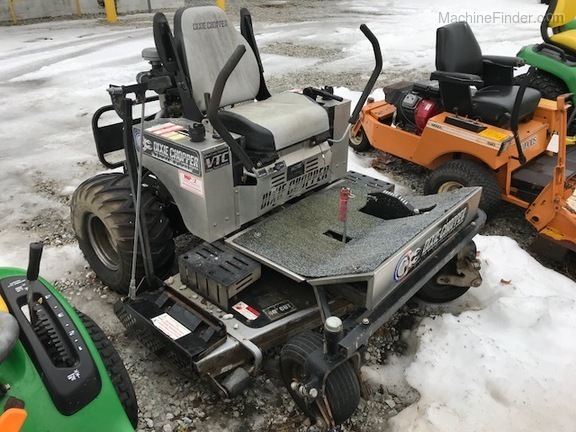 Description: 2005 FERRIS IS1500Z, 517 HRS, 48'' DECK, TURF TIRES, KAW ENGINE, ROPS. Description: 2014 MODEL. 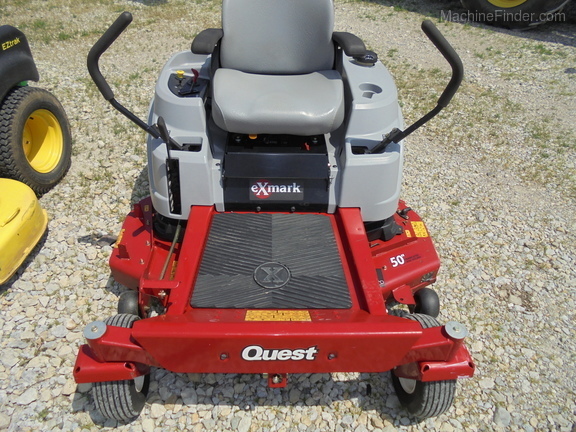 42'' DECK, EZ GLIDE FRONT SUSP, KAW 21.5HP ENGINE, MULCH PLUG, STARTS AND RUNS GOOD. VERY NICE CONDITION FOR AGE. LOW HOURS.